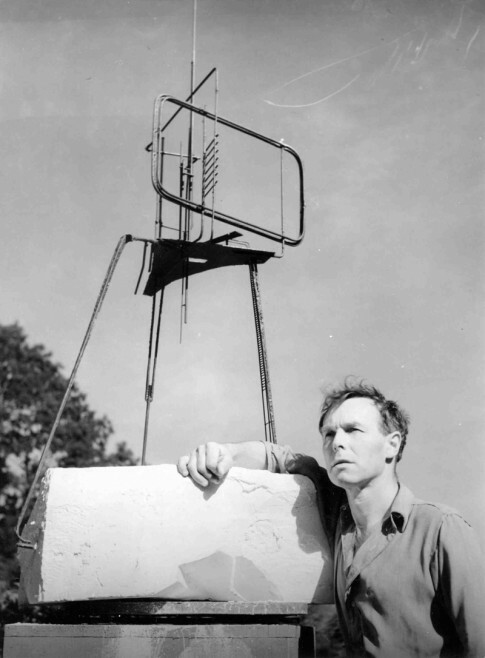 In 1952 the Institute of Contemporary Arts in London announced an international sculpture competition to create a monument to The Unknown Political Prisoner. Intended ‘to pay tribute to those individuals who, in many countries and in diverse political situations, had dared to offer their liberty and their lives for the cause of human freedom’, the competition was seen by the Soviet Union as provocative as the Korean War raged, and it declined to participate. Nevertheless, the competition proved hugely popular and 3500 sculptors from across 57 countries submitted entries, including some of the leading artists of the era. The final selection of entries was displayed at the Tate Gallery in London from 14 March to 30 April 1953. English sculptor Reg Butler was awarded the first prize, while second prize was shared between four other sculptors, including the illustrious Barbara Hepworth and brothers Naum Gabo and Antoine Pevsner. Butler’s monument was originally intended for construction in West Berlin, but his 400-foot vision was never built. The BBC Archive holds a short documentary on Butler from 1958 where the artist speaks about the project, while a replica of his maquette is held in the Tate collection. Love this. Thank you. Just tweeted it, too. Thank you, Victoria. It’s great to have an opportunity to highlight some of these strange art stories from times gone by!